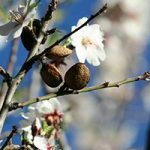 Almond – vigorous, suitable for well-drained soils only. Makes a tree up to 6 m (20 ft) high. Myran & St Julien A – vigorous, tolerant of wet soils and honey fungus. Makes a tree up to 6 m (20 ft) high.